AJ Locksmiths Leicester Locksmiths in Leicester since 2003. Click Here for our about page. 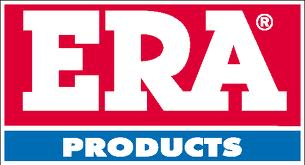 "What great service, very impressed with this company" Danny, Mar 17. "Excellent service when my yale lock closed behind me. Thank you Tony" Dennis, Mar 17. 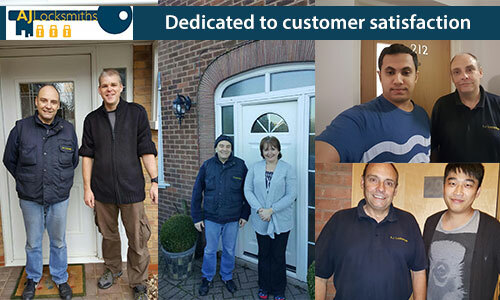 "Absolutely great service from AJ Locksmiths." Sue, Feb 17. "Great service, a very professional locksmith." Sarah, Feb 17. "Quick response, neat work, no mess. We would strongly recommend." Jim, Jan 17. Visit our Google Business Page. NO VAT & no call out charge. Free quotes, no hidden fees, in addition to no call out charge. You could be our next happy customer! Hence read a selection of our reviews below. Your lock may be jammed, you may have lost your keys, or you might simply have a problem with your upvc door. Above all whatever the problem, we are the experts, and we will help you fix it. Call us now on 07729 554 332 (tap to call). or click here to see our locksmiths services. Free estimates. No hidden fees. How safe is your door? Whatever time of day AJ locksmith Leicester are here to help.Need a lock changing? Or maybe a uPVC door or window fixed?We cover Leicester and Leicestershire with our locksmith services. At AJ Locksmiths we have a range of residential locksmith services to help you make your home secure. Also we offer lock upgrades, repairs, uPVC door and window fixes, security surveys, and much more. We also offer a 24 hour emergency locksmith service, helping to gain access to your home. Lock repairs – we will fix your existing lock so it works again. uPVC door repairs – we can fix the locking mechanism inside the door, so it works like new. Also uPVC window repairs – we can fix complicated window lock mechanism. Security survey – Furthermore our locksmith can assess your home from a security stand point. We also don’t charge for call outs, and we don’t charge VAT. Contact us today for a free quote, call 07729 554332. 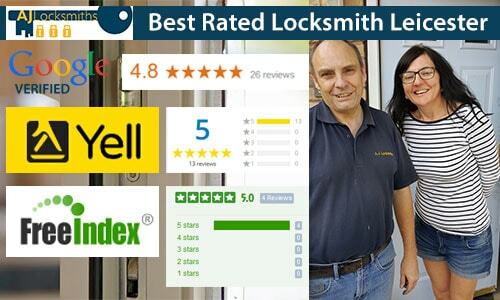 “Brilliant service AJ Locksmiths came solved the problem, clean tidy and a good price. Furthermore AJ Locksmiths offers a wide range of residential services. In addition to our wide range of services we are dedicated to providing great value to our customers, with our fixed prices. click here to see all of our locksmiths services. All of these companies have been clients of AJ Locksmiths. We have a full commercial locksmiths service. If you have lost your keys, maybe you need too change the locks due to staff leaving. We are often called out by landdlords and property developers, who need to have locks changed . We can provide master key systems, and other specialist commercial locksmith services. Lock upgrades – have our locksmith upgrade the locks to your business. Access control – we can make it more difficult for burglars to gain access. Master key systems – our locksmith can supply master keys to help manage multiple locks. 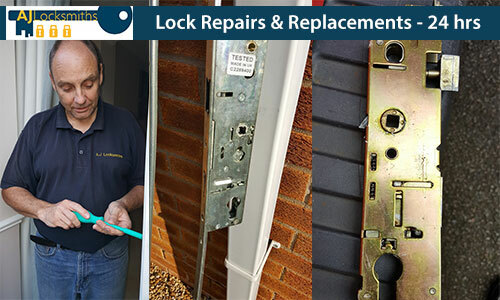 Lock changes – our locksmith will fit new locks to the doors of your property. 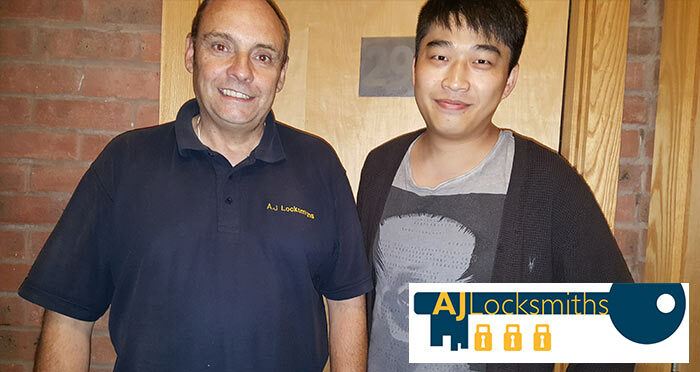 AJ Locksmiths Leicester was founded in 2003, and we have over 15 years as a locksmith, with many happy customers over the years. He also has a very technical background, having worked in technical engineering before that. So contact Tony at any time, to discuss your home security problems. 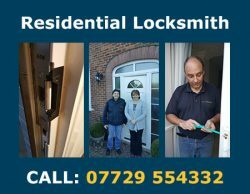 AJ Locksmiths Leicester have worked with a number of landlords throughout Leicester and Leicestershire. Furthermore if you have recently moved, changed tenants, have lost a key, not sure who has keys or would just like a lock changed. We can change or upgrade any lock on your home or business at highly competitive prices. AJ Locksmiths work to a high standard. In addition we only fit quality locks which meet security standards. This is reflected in our many 5 star customer reviews, in which our customers praise us for our kind nature. Call us today for a free quote 07729 554 332.